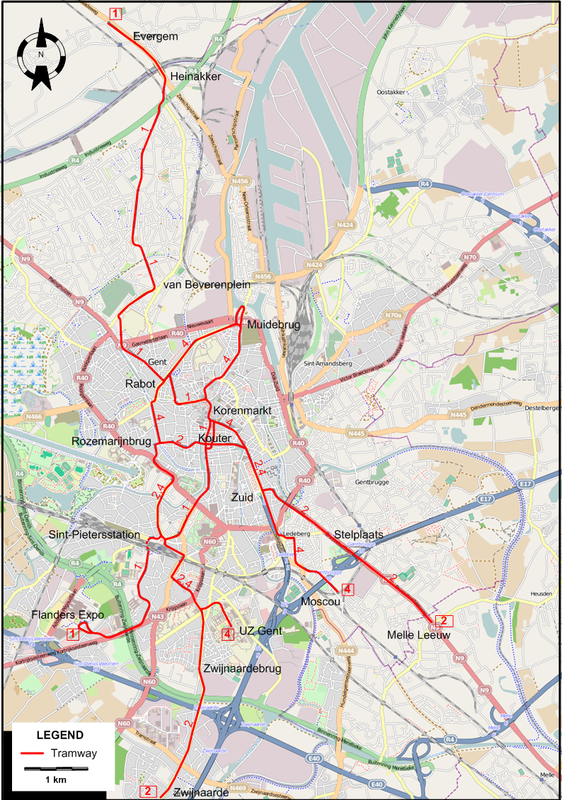 The Ghent tram system after a major reorganization. Urban trams: (horse-drawn) 24 May 1874 - ? ; (battery) 1898 - 1904; (electric) 1 Dec. 1901 - today. Interurban trams: (steam) 1887 - 1956; (electric) 1901 - 30 May 1959. 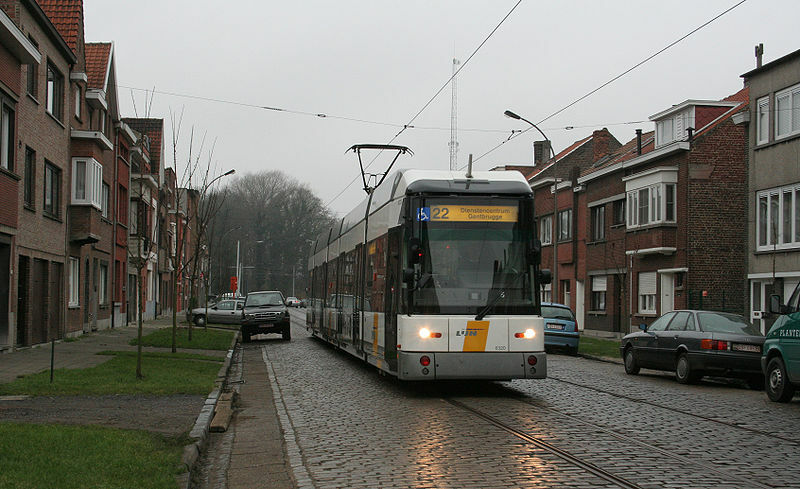 Pulling, N. "Gent - Expansion and modernisation", Tramways & Urban Transit, Nov. 2008 (71:851), p.423-425. 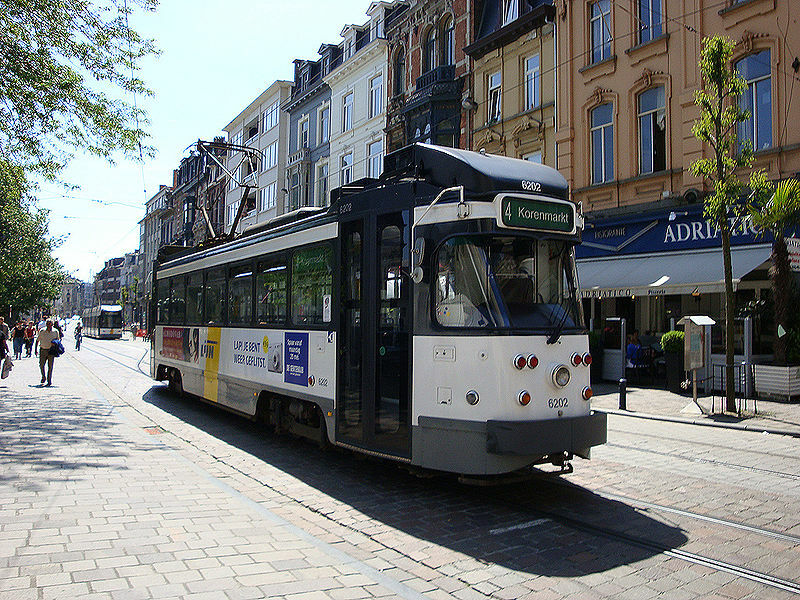 Pulling, N. "Systems Factfile No.62 - Ghent, Belgium", Tramways & Urban Transit, Nov. 2012 (75:899), p.423-426. Vancraeynest, B.R. "The Gent tramways", Modern Tramway & Light Rail Transit, Jan. 1991 (54: 637), p.11-22. Wansbeek, C.J. 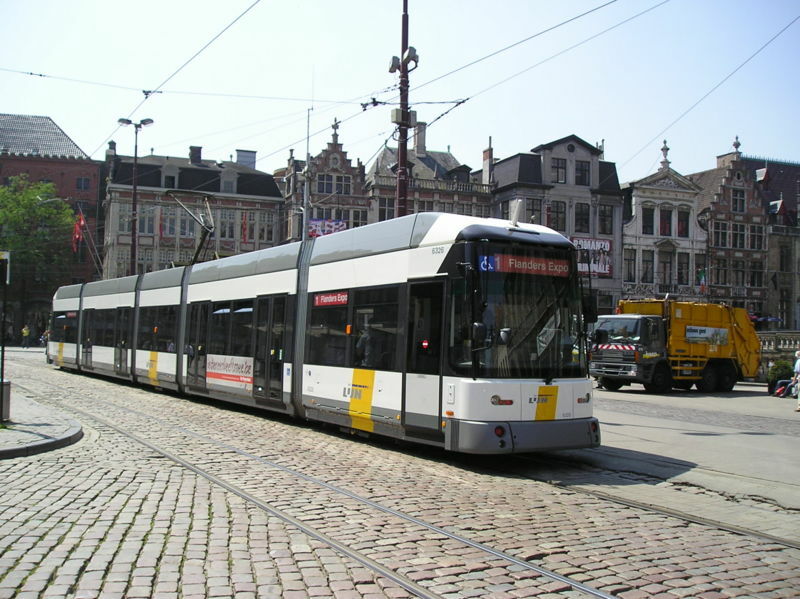 "Gent: Small but perfectly formed", Tramways & Urban Transit, Jan. 2002 (64:769), p.8-11. Thanks to Guy Cools (from Brussels, Belgium) for corrections made to this page.